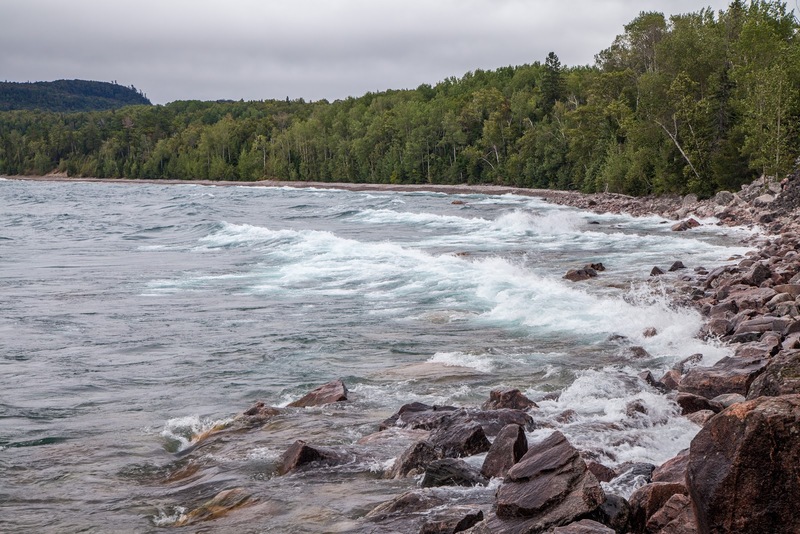 Lake Superior is often referred to as the largest freshwater sea in the world emphasizing its size and might. 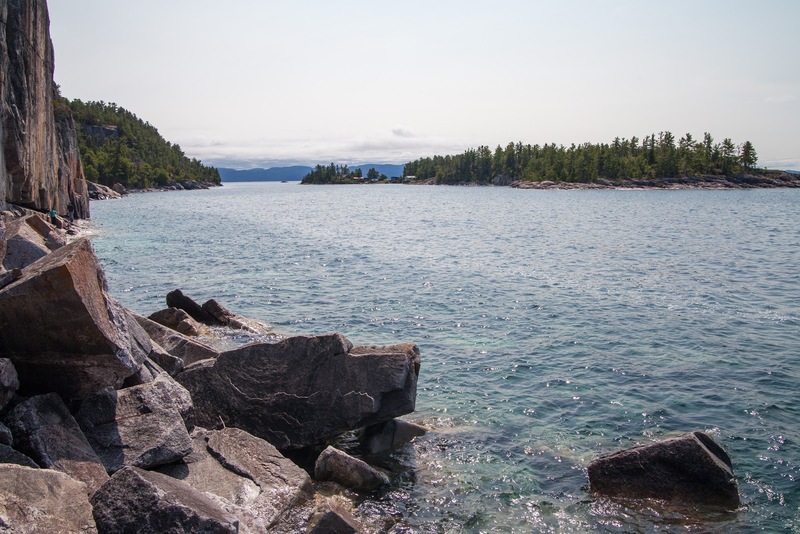 It's also the most stunning one as none of the other four great lakes rivals its beauty and would be as pristine as Lake Superior is. 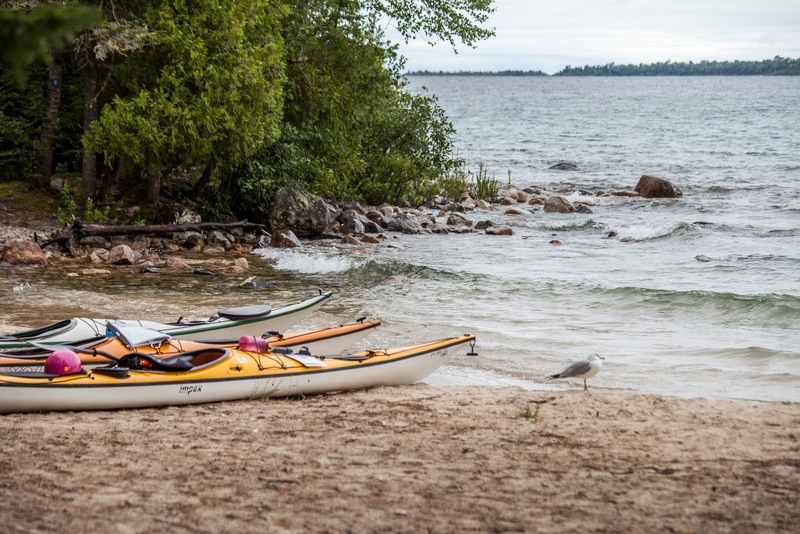 I think the key is in the lake's remoteness and wild nature: storm waves as high as a five-story building can crash everything on their way and the old-grown boreal forest stays on guard to protect the lake's rugged shore. 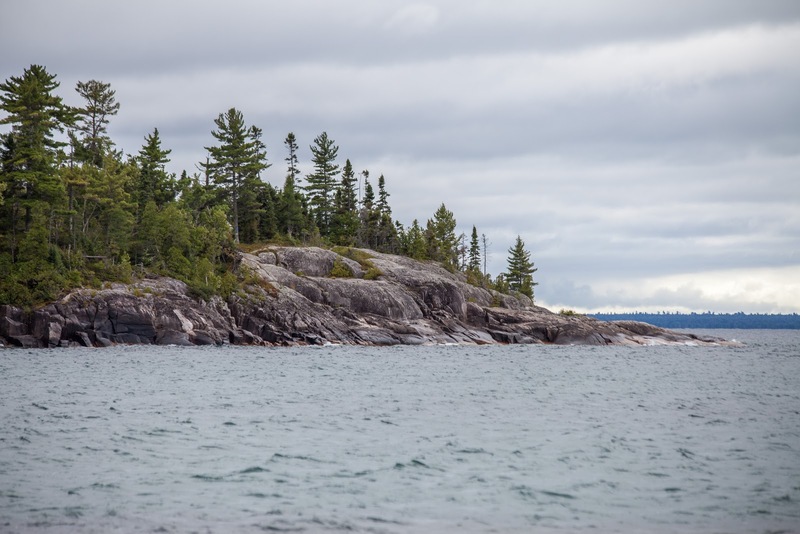 My first acquaintance with the lake was at Lake Superior Provincial Park located along the eastern shore north of Sault Sainte Marie, Ontario. 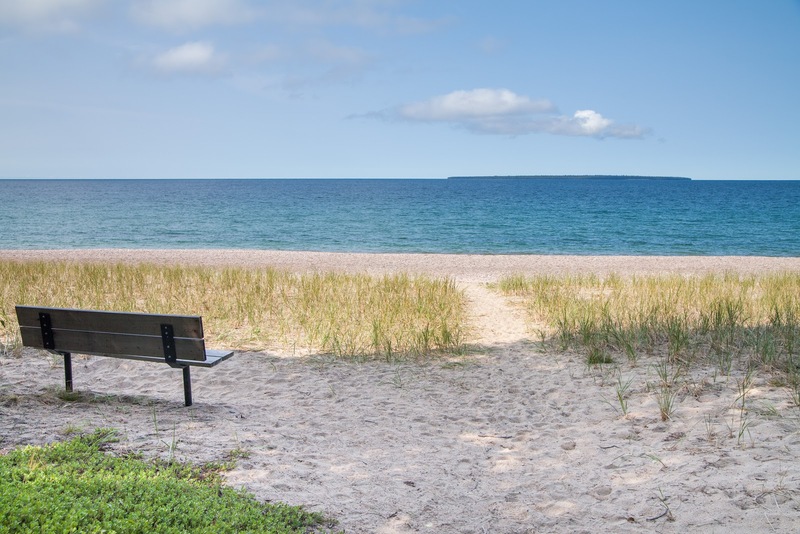 Being 10 hours away from Toronto or any other big metropolis means absolutely no crowds any time of the year as very few people make it all the way up north. 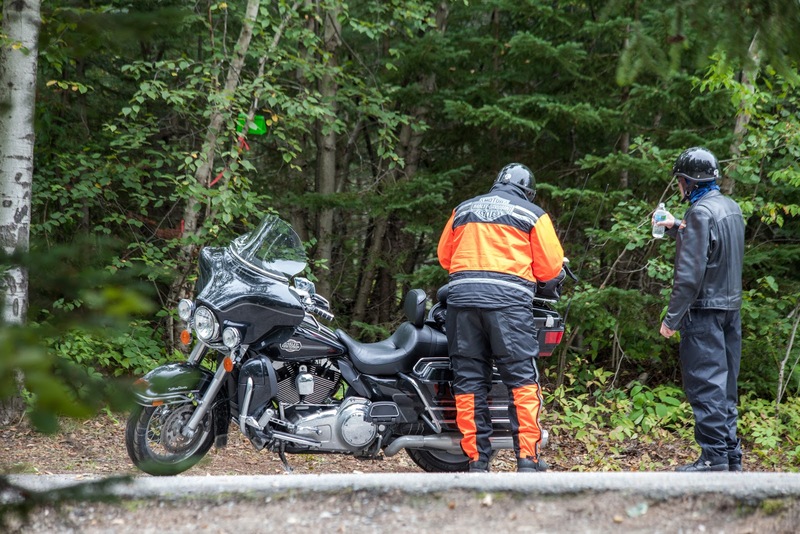 The majority of park visitors are those who are tackling the Trans-Canada Highway, the world's longest road within a single country stretching for 8,030 km / 4,990 miles and connecting all 10 Canadian provinces coast to coast. 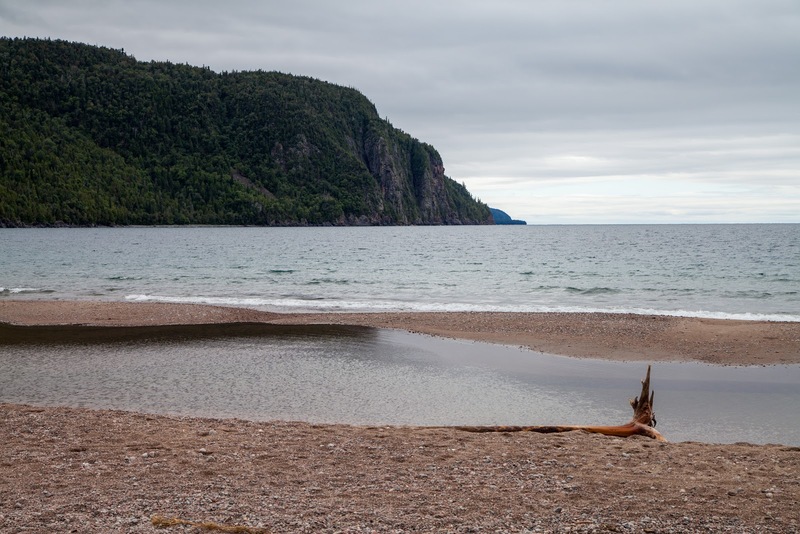 How many of you knew that the mid-point on the Trans-Canada Highway is just south of Lake Superior Provincial Park? I did not because Ontario province is always considered to be in Eastern Canada. But it's actually in the centre of the country. 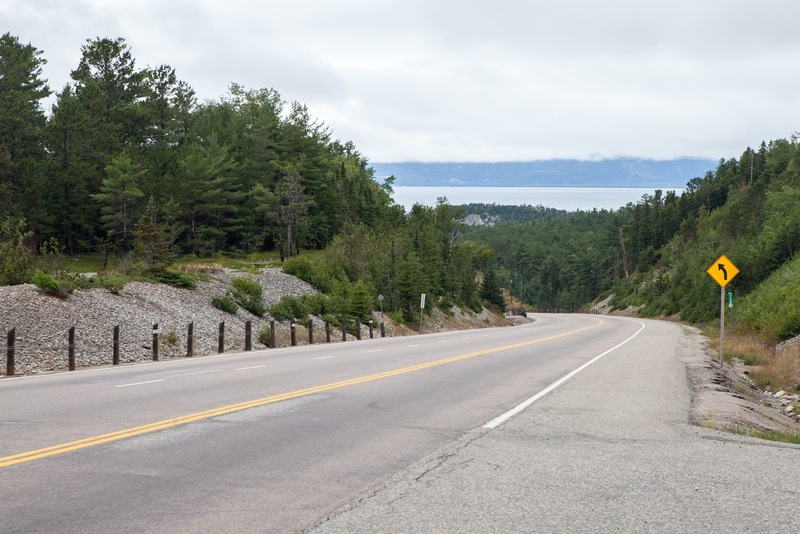 A part of the highway that follows Lake Superior almost shuts down at night as all gas stations along the 700-km / 435 mile stretch between Thunder Bay and Sault Ste Marie are closed. 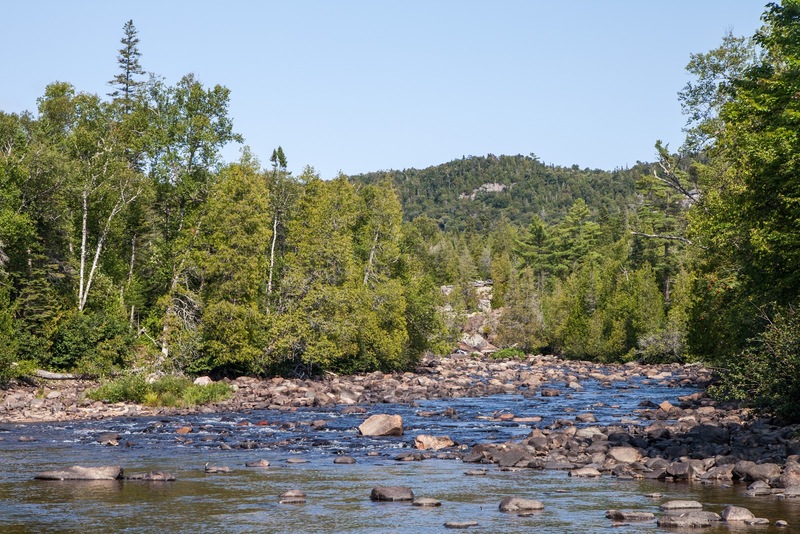 I think it's due to the high volume of wildlife especially moose and deer traversing the road at night as their encounter can often be deadly for both animals and humans. And, quite frankly, you should see all the beauty that is awaiting you behind each bend and turn. 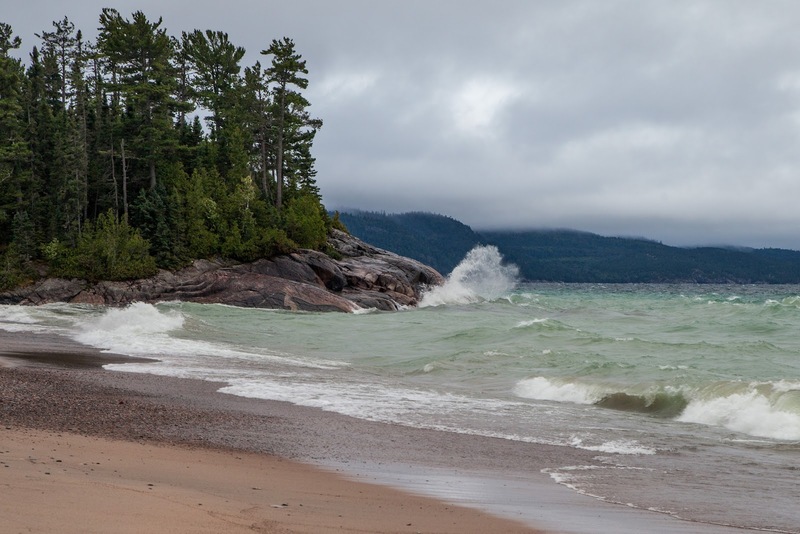 Tackling the Trans-Canada Highway and particularly its stretch along Lake Superior is a one-in-a-lifetime experience and you simply don't want to miss it. 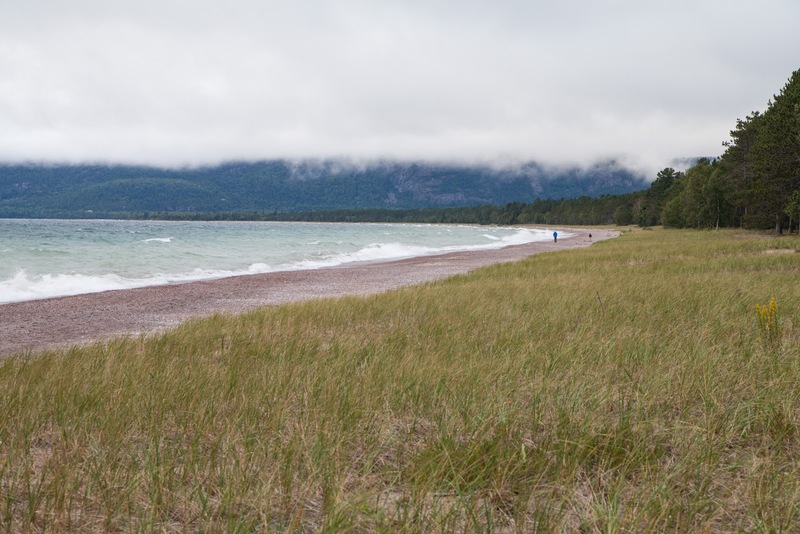 The following will give you an idea how wild the road along Lake Superior was. 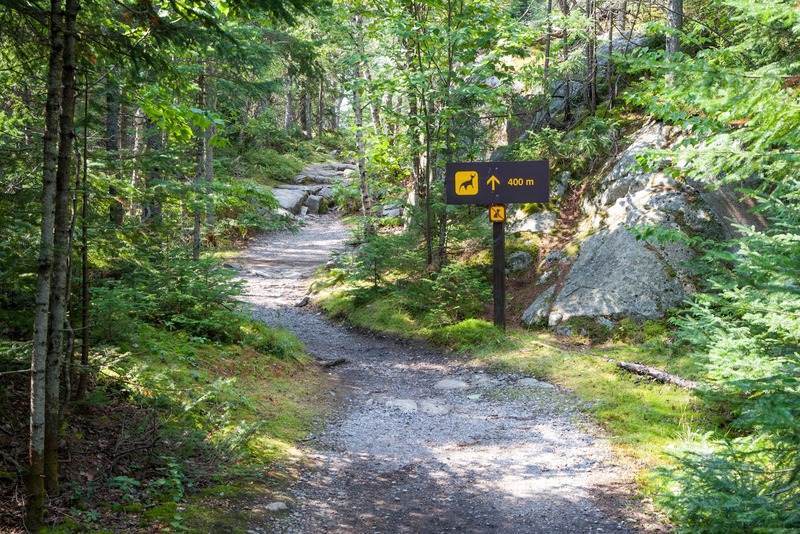 Picture this: a two-lane highway with frequent road signs warning about wildlife (moose). 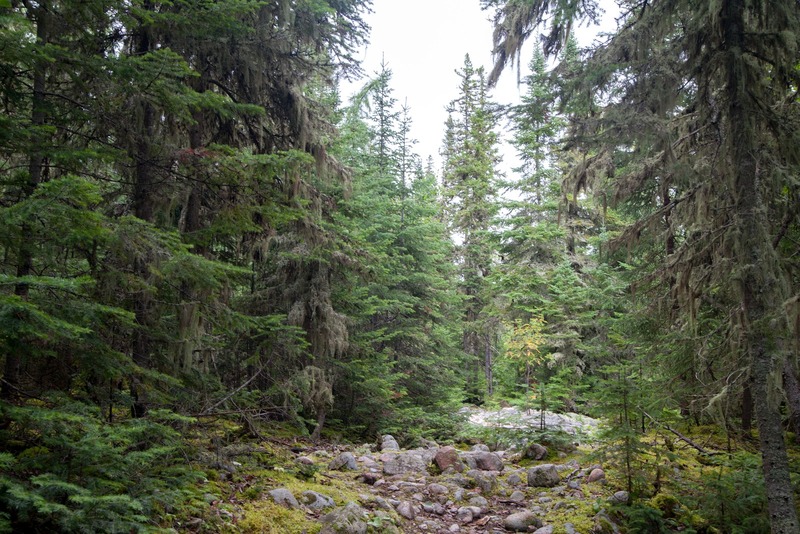 The forest is cleared 50 m / 165 ft from the highway in both directions to increase visibility. 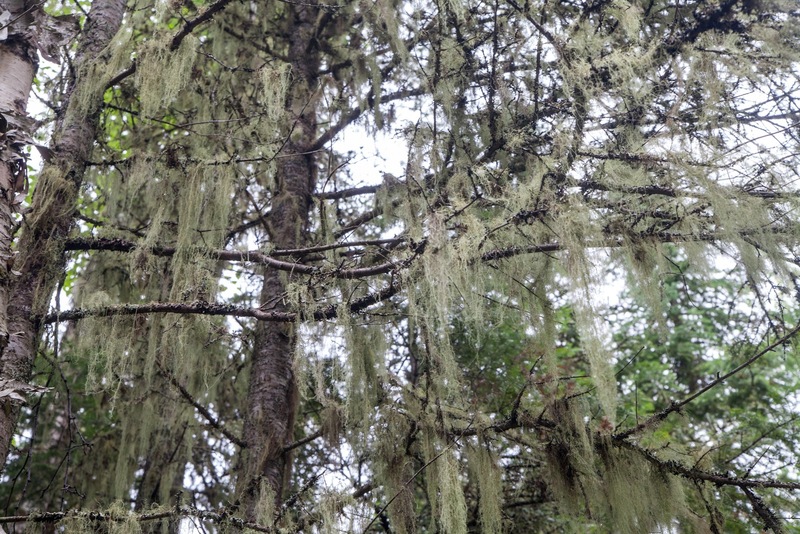 Access from the forest is restricted by a tall fence. Halfway between the road and the fence there is a chain of motion detectors 100 m / 330 ft apart from each other running in parallel to the highway. 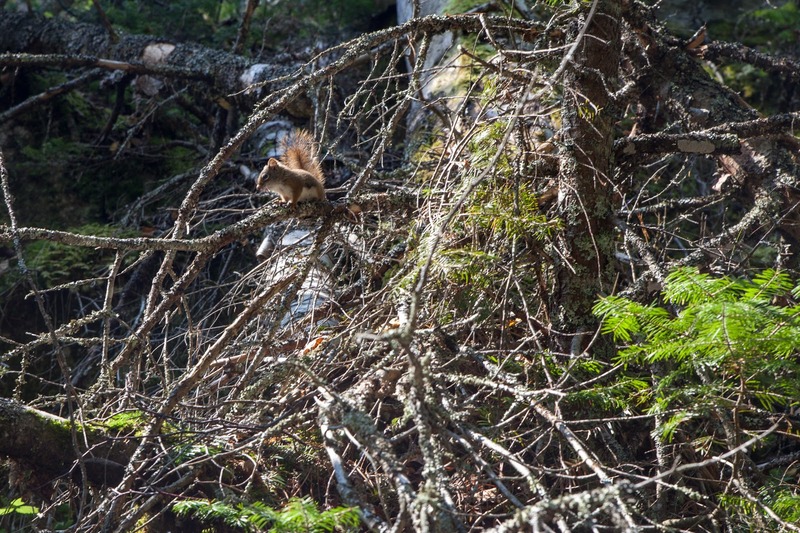 If an animal managed to escape the forest by jumping over the fence, it will be detected and amber lights will start flashing to warn motorists about danger. I hope it all works, because moose encounter usually means fatalities. 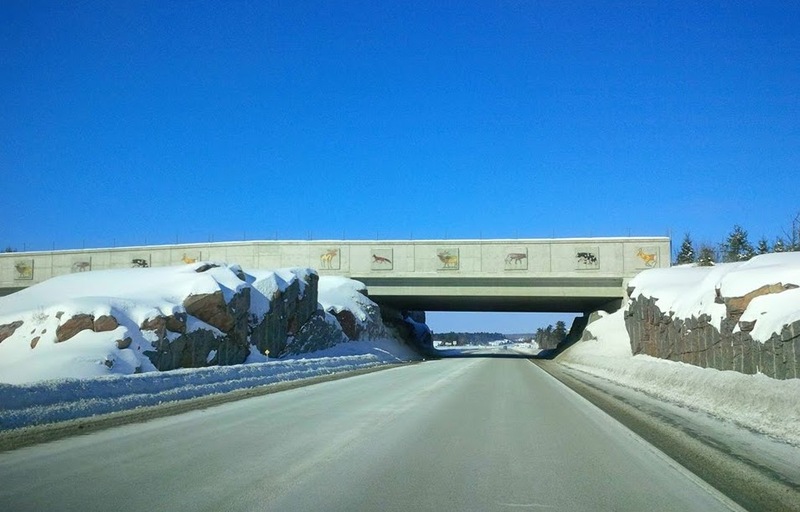 On the picture below - a wildlife bridge across another highway in northern Ontario where animal traffic was the most intense. 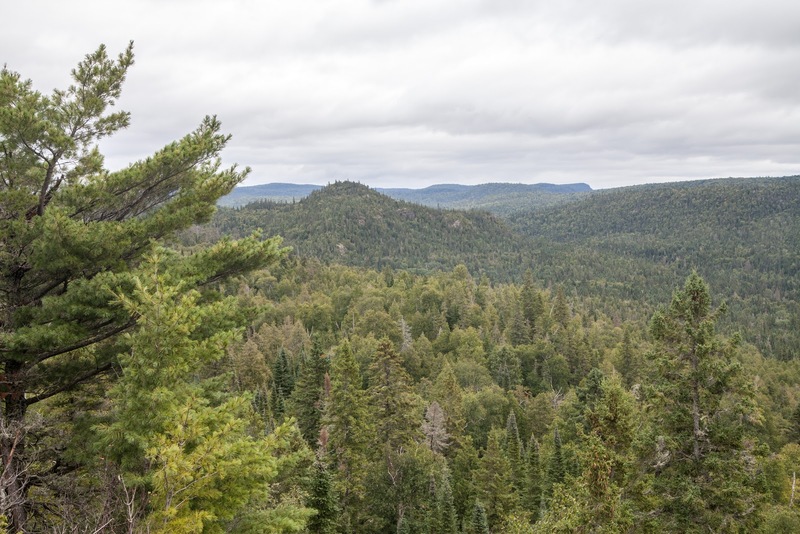 There are many pull-outs and vista points along the highway that showcase the nature or teach a lesson about the Canadian history. One information stand told about Dr. Perry Doolittle, the first person ever who drove from Halifax to Vancouver in his car. 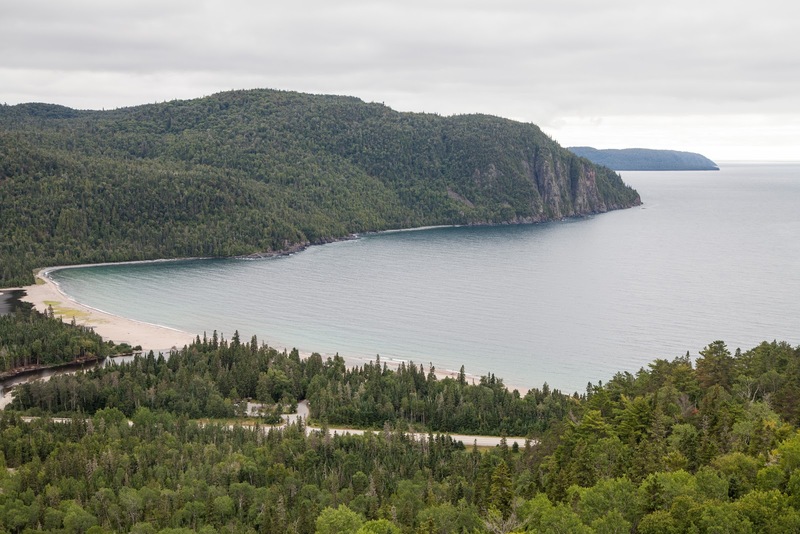 It happened in 1925, a quarter of century before the work to build the Trans-Canada Highway began. How did he manage to do it? Great question. He swapped out his tires so he could drive on a rails where no auto road existed. Smart man! 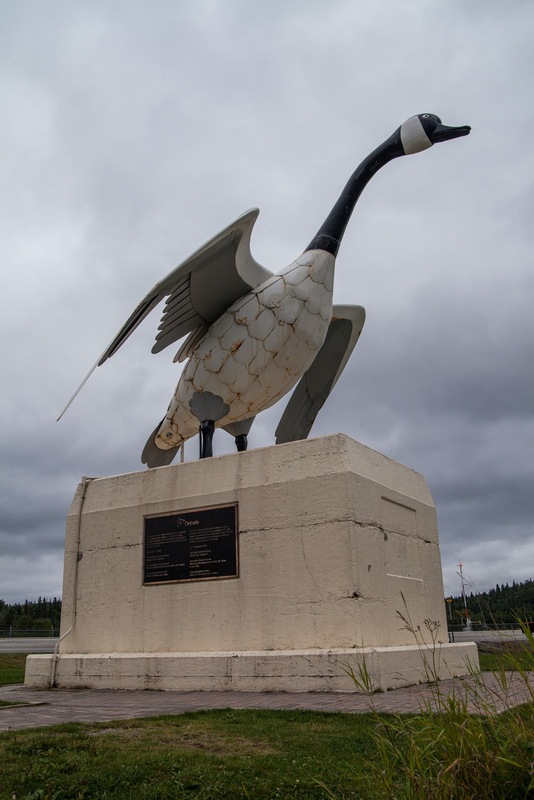 The famous Wawa Goose that welcomes motorists since 1963 and commemorates the junction of the last parts of the Trans-Canada Highway. 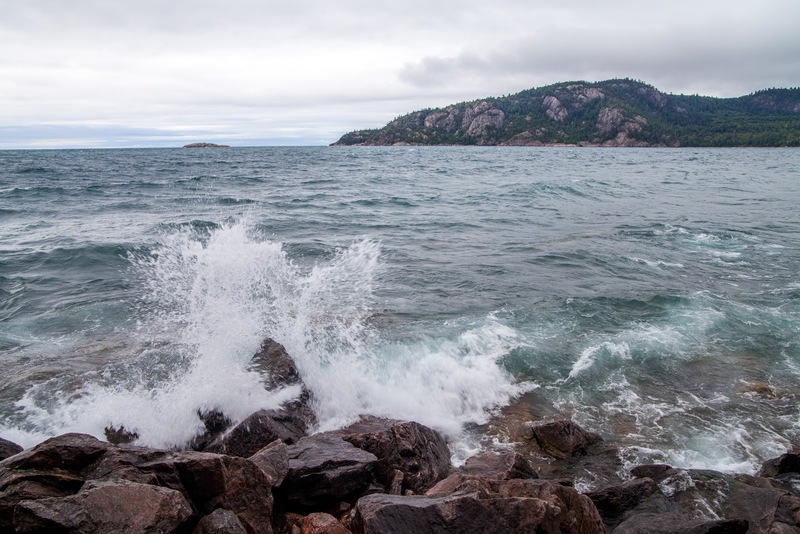 Lake Superior is the largest freshwater lake by area and the third largest by volume after Lake Baikal in Russia and Lake Tanganyika in Africa. The lake is so big, it's impossible to see the other side of it even on a clear day. The Obijwe people who have historically lived in the area call it "gichi-gami" which means "be a great sea". 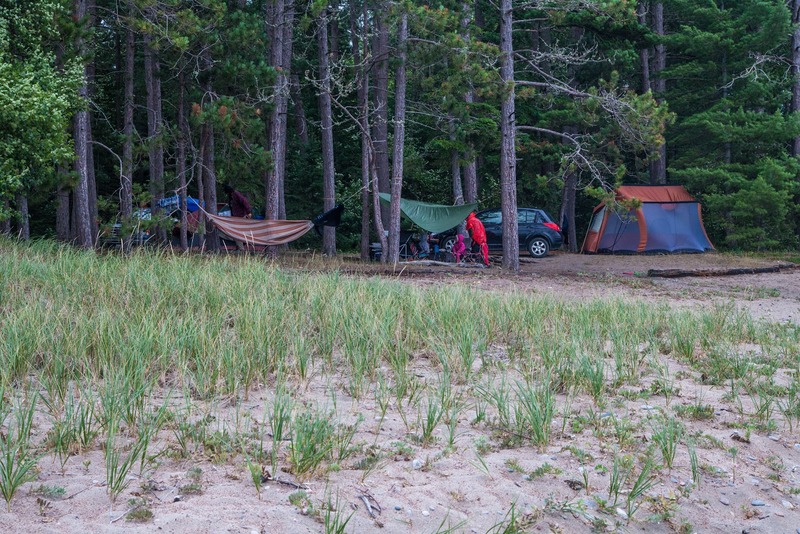 Camping by the shore sounded like a great idea for late August, but a strong northern wind, drizzling rain and night temperature of +5 C / 41 F made us change our plans and pick another campsite, farther from the lake. These brave people with small kids didn't give up though. But I don't know how they managed to put up a campfire with such a strong wind. 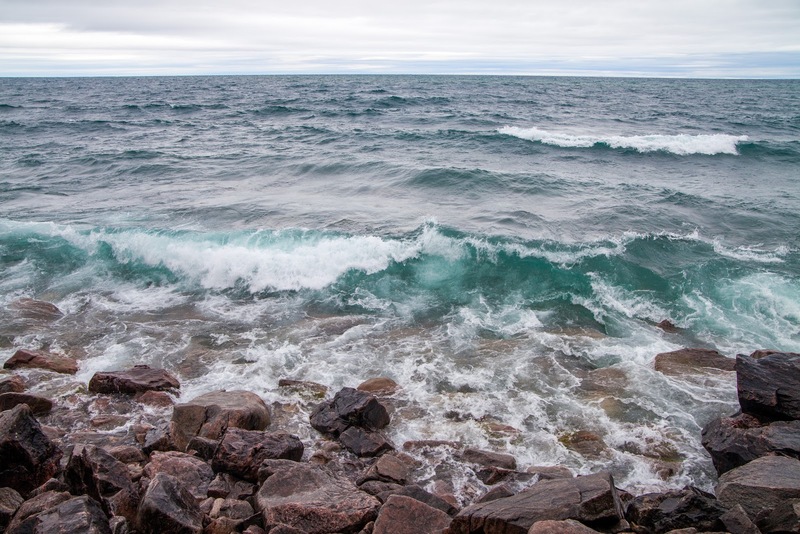 Despite that tricky weather, that's exactly how I imagined Lake Superior - winterly and wavy. And I'm glad that I was able to see it this way, because in the next two days the weather was completely different. 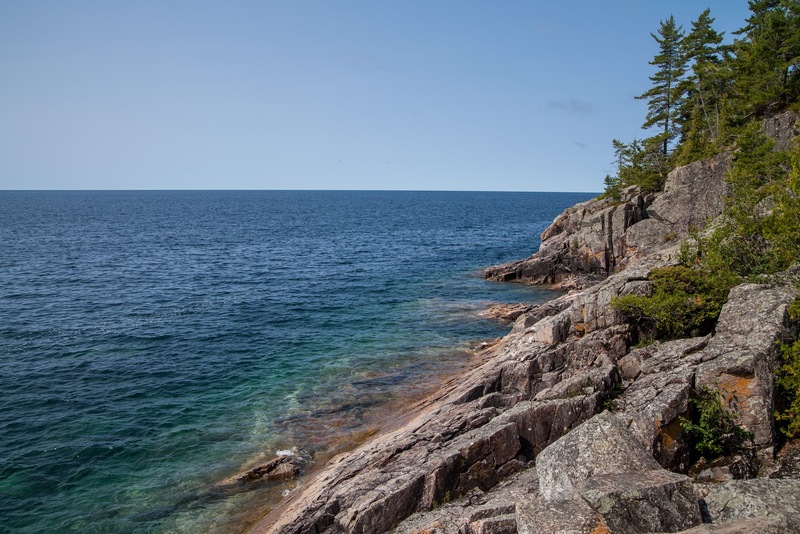 The most challenging trail at Lake Superior Provincial Park is a 65-km / 40-mile Coastal Trail. 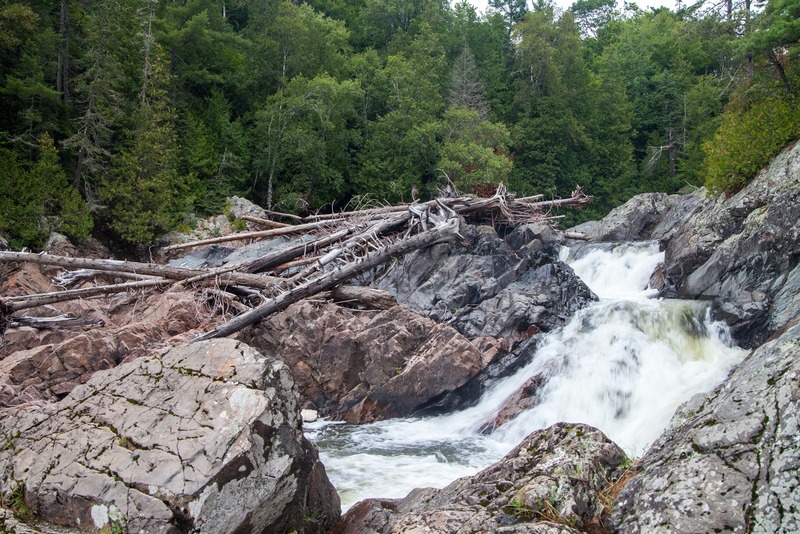 You can hike it or canoe / kayak along it. 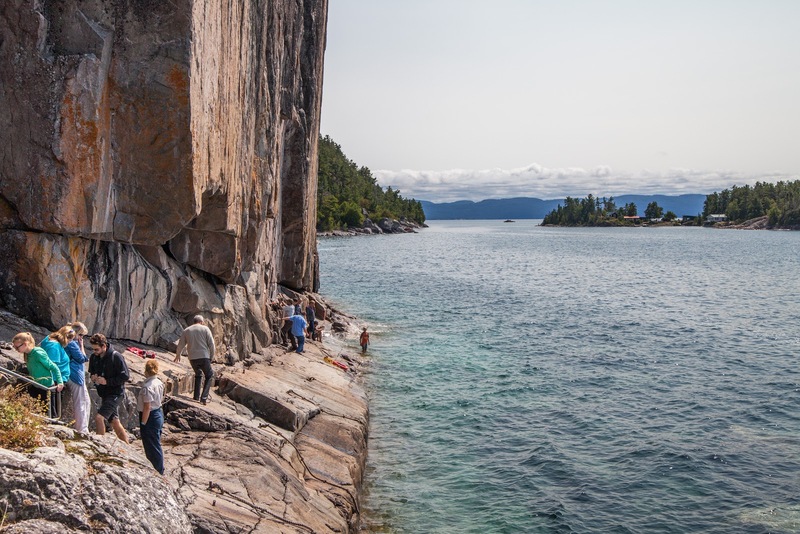 Old Woman Bay got its name because of this 200 m / 650 ft cliff that resembles a face of an old woman. 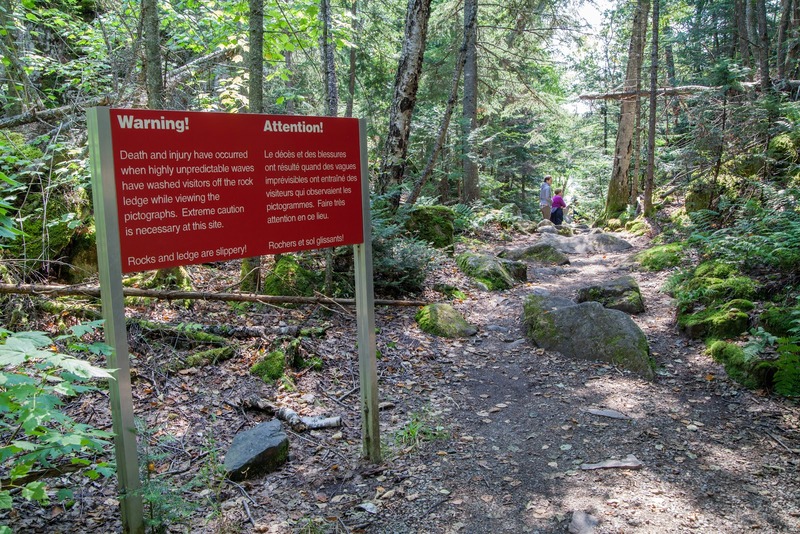 To be honest, I could not see it, but that's ok.
Nokomis is another popular hike in the park. 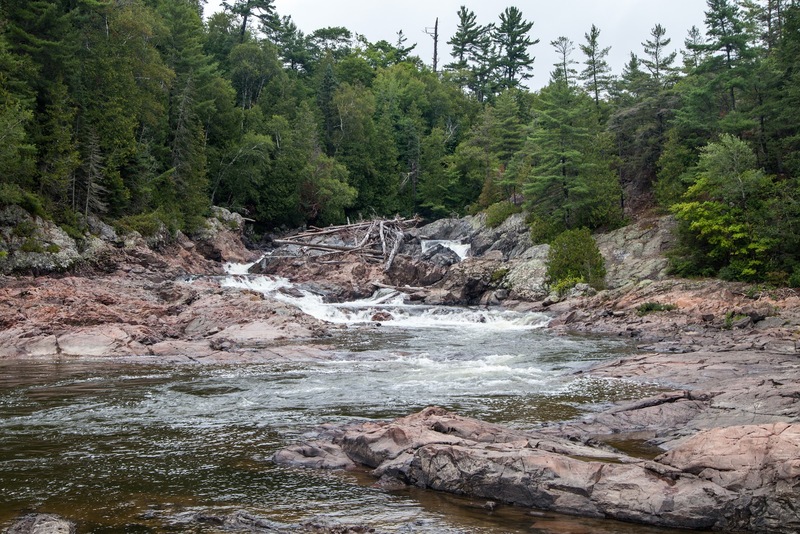 It's a 5 km / 3 mile loop trail that takes you from the transition area between Great Lakes forest and Boreal forest. 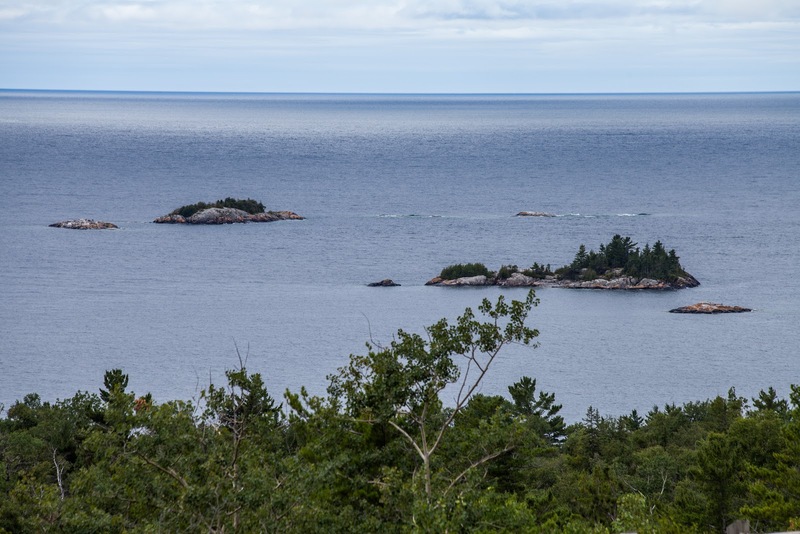 One of the lookout points. 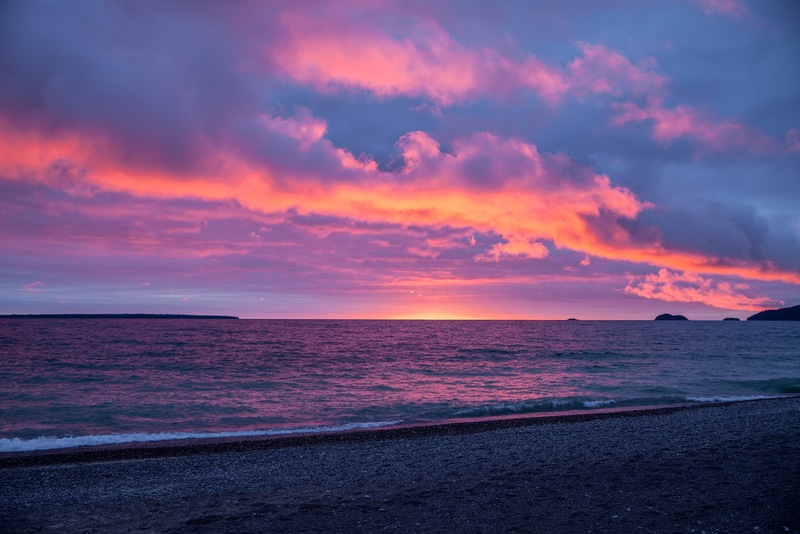 After two days of overcast clouds, the sun finally came out before it touched the horizon resulting in the stunning sunset. The next day was sunny and warm. Some people were even swimming in the lake. Brrr! 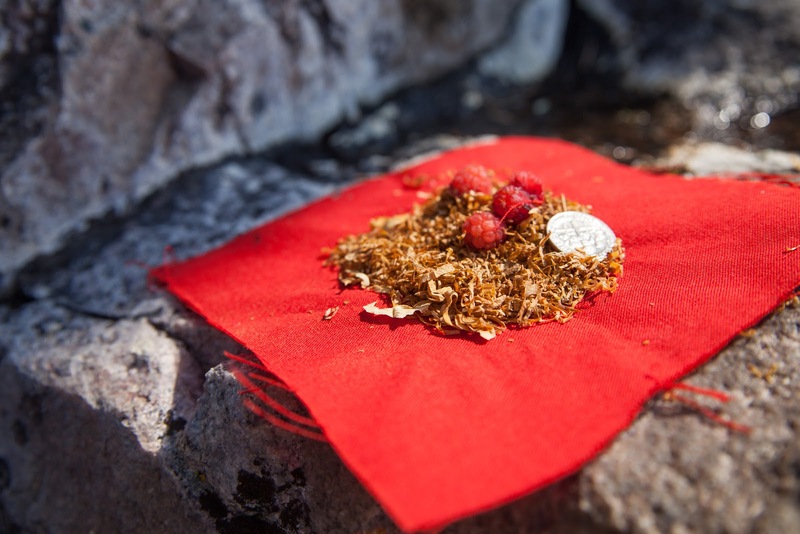 Make sure you hike a short Agawa Rock Pictograph trail to get a chance to see a real dragon! See the sign below. Just kidding. The name of the trail is self-explanatory - at the end of the trail you can see the rock pictographs made by the Obijwe people. 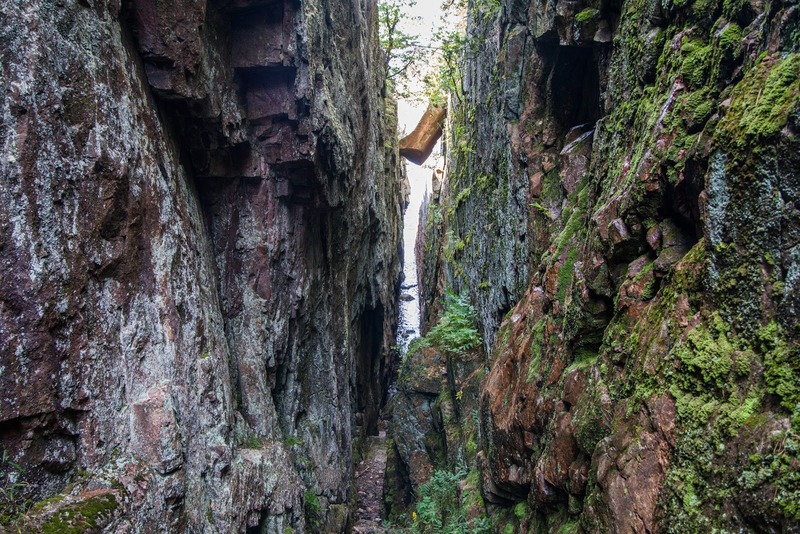 These rock walls are the result of volcanic activity. One must only attempt to see the pictographs in a nice weather when the lake is calm. 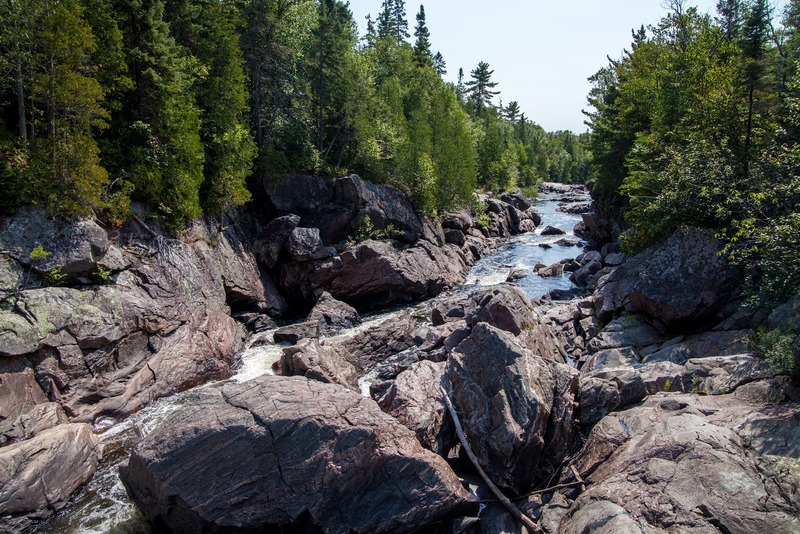 If it's wavy, rocks become very slippery and too dangerous. 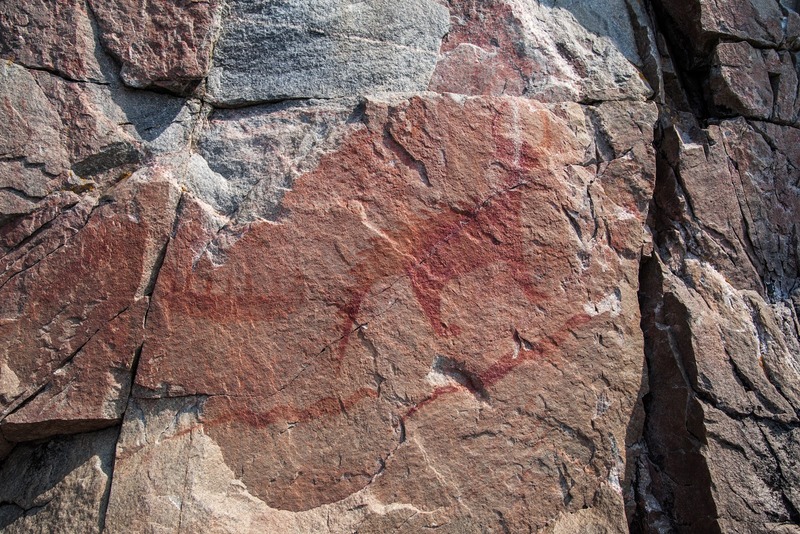 Agawa rock pictographs is the sacred place for the Obijwe people. Not sure what this means, but I guess it's some sort of ritual gifts. 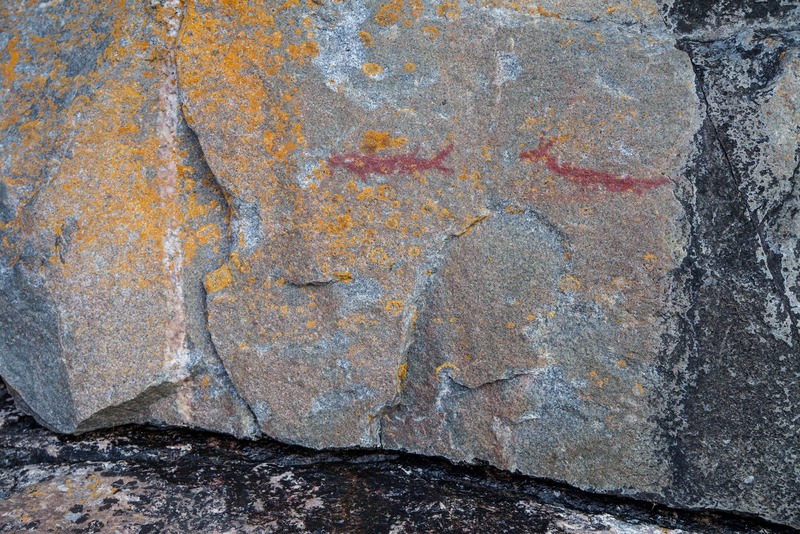 They are believed to be 150-400 years old and painted with a ground hematite and animal fat. A park's ranger is these to assist visitors and answer any questions. 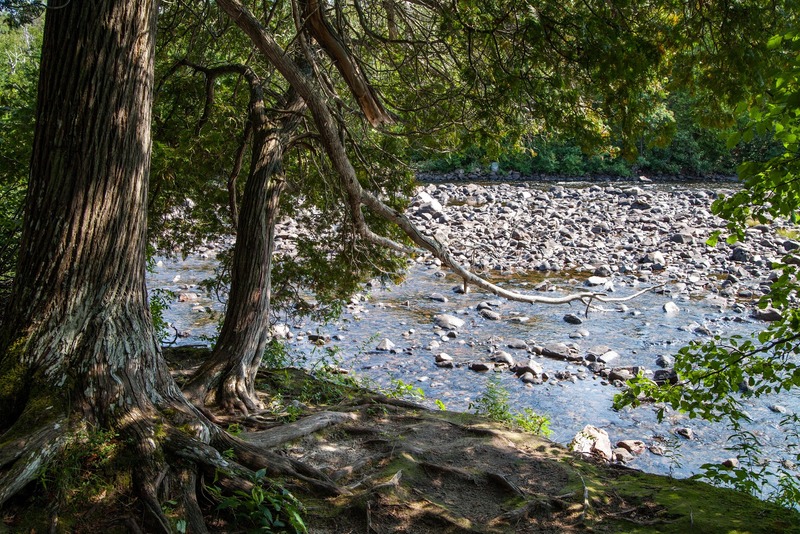 The most frequently asked question: "Will you rescue me if I fall into the water?" The last trail we hiked was Pinguisibi running along the Sand River. 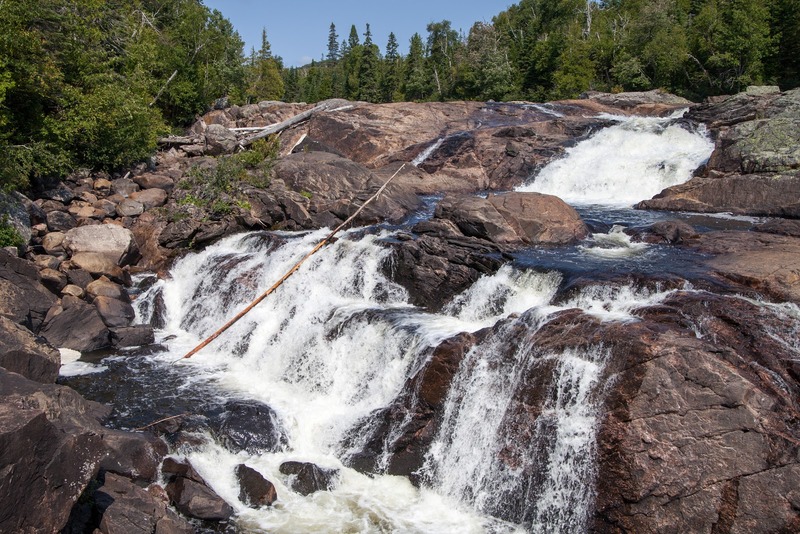 The trail takes you to a few of gorgeous waterfalls up river. 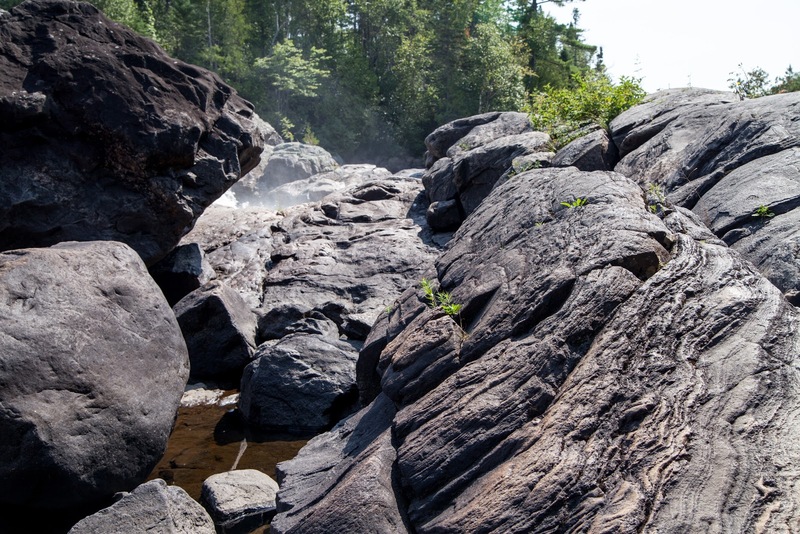 These black rocks is a result of lava flowing from volcano craters. It still looks fresh even though the rocks are very old. 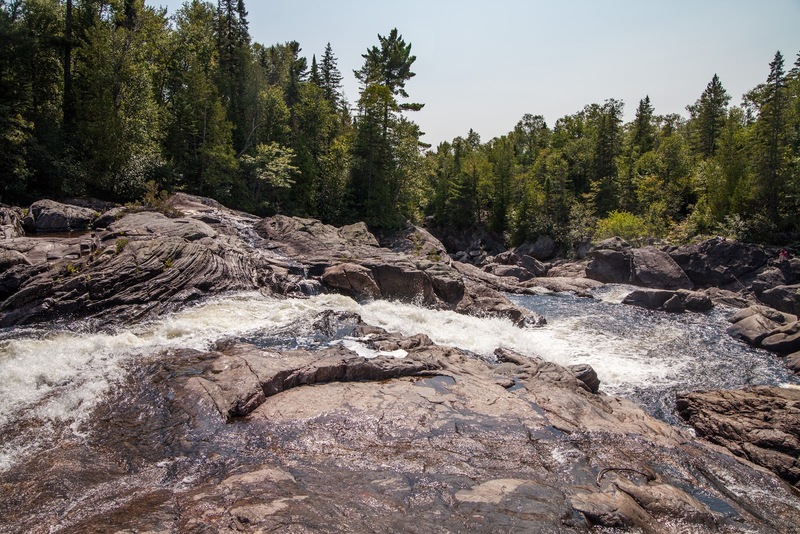 There is a canoe/kayak route along this river with portages to bypass waterfalls. 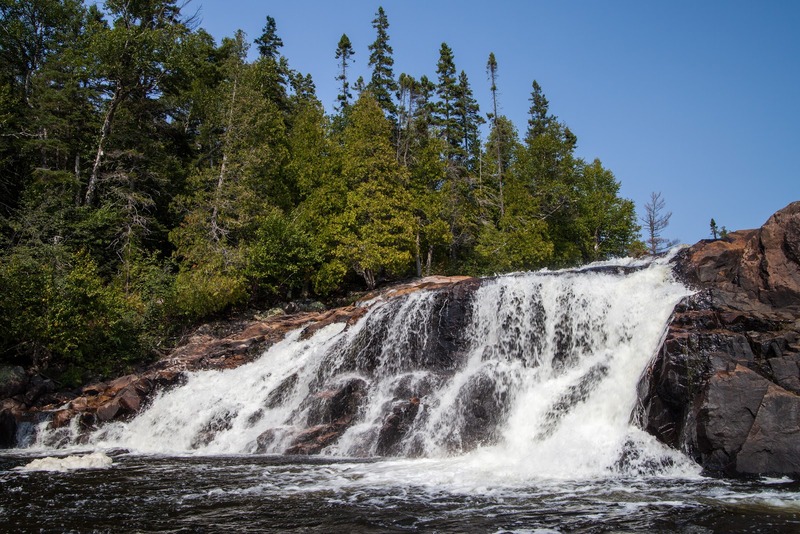 My favourite waterfall in the park.